As organic products are slowly but surely making a big demand in the market today, Aquaponics system as its source is also gradually becoming more popular in the agriculture sector. What is appreciating with Aquaponics is the simplicity of its process. Best of all, the sustenance required in the system (fertilizers & pesticides) are relatively easy to produce; yes – you can do it at your own backyard using readily available and cheap products. Taking note of the nutrients to enhance growth of your plants, here are some organic supplements that you can easily make at home. Fermented Plant Juice (FPJ) contains many nutrients that are very beneficial to plants. It contains rich microorganisms, which give strength to the plants. It enhances plant growth as well as photosynthesis (for greener leaves). 1. Harvest 2 kg of desired plant (preferably before sunrise to preserve its energy). 2. 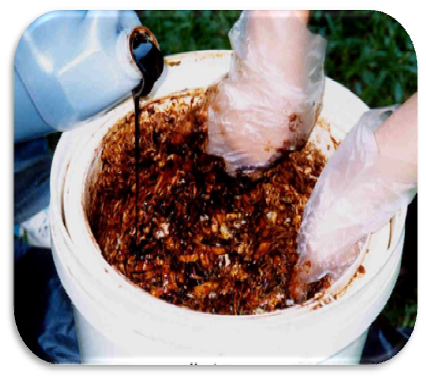 Place a handful of molasses in the pail. 3. Put in the vegetable-molasses mixture until ¾ full and top with the rest of the molasses. 4. Cover the pail with Manila paper and tie it with a string. 5. Place in a cool dry place and ferment for 7 days. 6. After 7 days, strain the liquid and transfer in a clean container. Wait until the tiny bubbles disappear before closing the container tightly. 7. Label it properly and indicate the starting date and date of harvest. • Mix 2 tbsp. of FPJ with 1 liter unchlorinated water. • Use as sprinkle or spray to your plants. • It may also be used with other fermented extracts. • Spray early in the morning or late afternoon. Seaweed extract as supplement to your plants is a powerful source of growth hormones. It enhances the growth of plants and an excellent source of nitrogen. 1. Cut up 2 kg seaweeds. 2. In a pail, mix the cut seaweeds and 2 kg molasses. 3. Add 2 liters of unchlorinated water. 4. Cover the pail with cloth and tie with an elastic band. 5. Ferment the mixture for 30 days while checking every couple of days to stir, as this tends to expand. 6. After 30 days, filter and place in containers, properly labeled. • Mix 2 tbsp. of seaweed extract with 1 liter unchlorinated water. Worm Tea and worm castings help replenish depleted nutrients in the soil, thus enabling plants to thrive. Worm tea enhances a plant’s appearance and can even help struggling plants to perk up overnight. The microorganisms found in the Worm Tea are vital for nutrient uptake in plant roots and also protect the plants from diseases. 1. Fill a bucket with unchlorinated water. 2. Add molasses to the water. 3. Put worm castings into a thin mesh “teabag” of pantyhose and tie a knot. 4. Submerge the bag in the water for 24 hours, occasionally stirring. • Dilute 50/50 worm tea with unchlorinated water. • Use as spray or sprinkle to your plants. 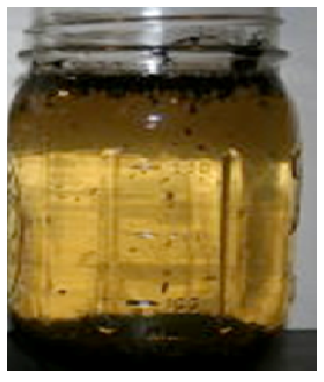 • Worm tea does not heat up and will not burn your plants. • Use within 48 hours. These are helpful and easy recipes. 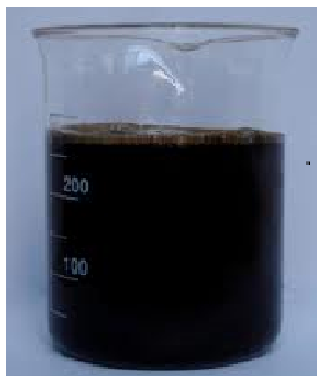 Can you also provide info on where we can buy molasses in Metro Manila. I live in Muntinlupa. Thanks. Hi Nestor, There’s a store selling molasses at AANI in Quezon City Memorial Circle. You can also check-out from sulit.com.ph. Hope it helps.